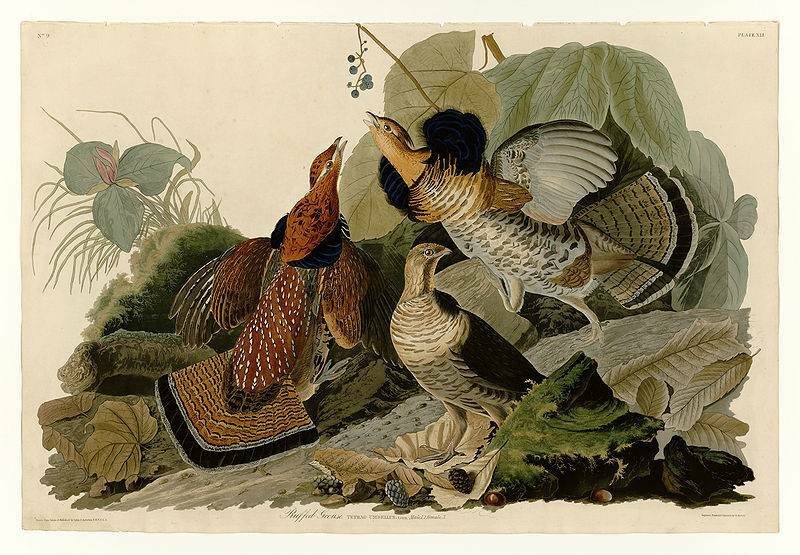 Ruffed Grouse, Plate 41 of Birds of America by John James Audubon. Taking Flight: Audubon and the World of Birds centers on John James Audubon and his passion for birds, which drove him to create The Birds of America, a revolutionary work of science and art. More than thirty original Havell prints from The Birds of America paired with bird specimens from the Museum’s collection comprise the centerpiece of the exhibition, on view January 21 to June 17, 2012. The Opening Day Celebration on Saturday, January 21, includes family-friendly activities from 10 a.m. to noon: build a Bowerbird house; participate in a Brainy Bird Quiz Show; or try the Audubon Art Station and create drawings and watercolors. Two presentations will be offered: Days of Their Lives: the Life & Art of John James & Lucy Audubon will be given at 2 p.m. by Nancy Powell, curator of the John James Audubon Center at Mill Grove in Audubon, Pennsylvania, and at 4 p.m., Mill Grove & Audubon: Where It All Began, will be given by Jean Bochnowski, director of the John James Audubon Center at Mill Grove. All Opening Day events are free with museum admission: $13 adults, $6 children, museum members & children age 3 and under enjoy free admission. An Opening Reception will be held from 5 to 7 p.m. when visitors can enjoy refreshments and view the new exhibition, Taking Flight: Audubon and the World of Birds. Open to the public; Museum admission free after 5 p.m.